Not only do we have 16 channels of MIDI available (per cable…. Other cables can carry 16 more channels as you expand) but we also have 128 steps or individual notes that can be assigned to each channel or voice. (again, if your device counts zero as a number, you will have 0 – 127) This is particularly important for triggers and non-sound system controllers. For example, if you are playing a MIDI keyboard, sax or reed controller as Master, you are not normally trying to redirect a C# to an F, though there are reasons for doing this in some special circumstances. You just want to perform your song on the Master Controller and have your performance represented as you played it – for better or worse! However, for drum kits and other triggers it is crucial to set up in advance the sounds that will be played when a specific trigger is hit. Usually you can change this in the Master Controller itself. Pick the channel and the specific pad/key you are editing and go to the Menu Options page. Select MIDI Note Number options. There are too many ways today’s gear will get you there or what they call it so it is hard to make this specific to all, but that is what the owner manuals are for! As your Master Controller is connected properly to the receiving tone generator or receiving device, hit the pad or key or button you are trying to edit. You should be able to see the note number the current pad is assigned to. Continue to raise or lower this number one digit at a time or enter the KNOWN MIDI Note Number and then Enter. Once you are triggering the correct sound, sampler or other gear, go to the next pad in a similar mode until all assigned pads correctly trigger the intended receiver. Save everything and pat yourself on the back! Keep in mind you can do this over and over depending on project, recording or performance needs. Most devices will allow you to store and recall a large number of performance templates or basic ‘kits’. Take advantage of this tool! Once you set them up, you can use them forever and make your set up time amazingly quick. As a keyboard player in a progressive rock band, I used specific keys or notes on my keyboard(s) that were outside the range of the cover or original tune we were playing and assigned them to trigger internal drum sounds like claps or cowbells, effects like record scratching and anything from applause to choir back-up notes. I never used a sampler that would ‘play’ parts, I just added to the layers by using on-board sounds as a split keyboard arrangement or as real-time triggers to other devices. I used to play in the days when you had to have a different keyboard for each sound group you wanted. If you wanted an electric piano, you played the Rhodes piano. 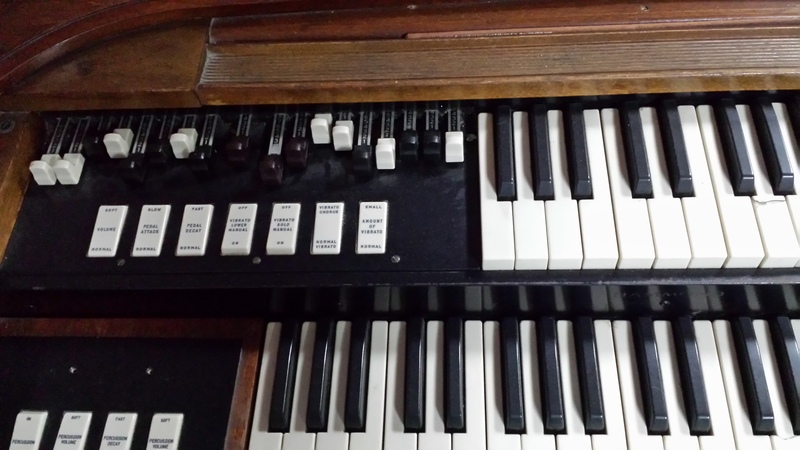 If you wanted an organ sound you carried around a Hammond or other organ. 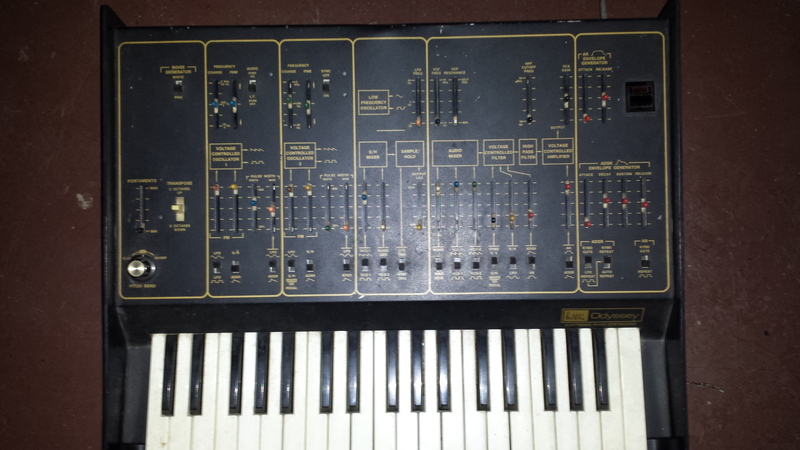 If you wanted to use synthesizer sounds, you brought in a Moog or Arp and played two sounds at a time ……. and it felt glorious! Thank you! I am glad it helped. I see so many how-to sites but they all seem to be from the same perspective – that from people that have already taken lessons. I have never taken a music lesson – outside of normal school programs. I hope this encourages rather than scares people from going further. An education reading this technical information on midi. My interest stems from I used to be session musician. I played keyboards, bass guitar, sang harmonies for known and unknown musicians, then started to record some of my own material. I also at that time began to be ruined by arthritis and other illnesses but writing is my thing just now and I’d really love to sing some of my songs. My interest in jazz, blues, and ballads keep me going. As I am of Caribbean descent I also play reggae but prefer jazz. Thank you so very much for reading my poem and I hope you have a great day! I am really glad this has been helpful. As a keyboard player, there is a ton of potential using MIDI. Even if your arthritis is taking its toll, using sequencing and other MIDI features can make writing and composing music easier and more fun. Then if you have a simple recording system you can add vocals to your own composition (and throw in a little guitar if it is not to too painful!) I am glad to hear you are turning your talent in the direction to continue with your interests. Keep going! I would love to hear what you come up with, and I am a jazz fan as well. (reggae is great when it is done correctly!). You are very welcome and thank you so much for the comment and visit! The honour is yours! It’s good to see this on here because in the early days when I got disheartened with music, I left it and went to study Psychology & Counselling. Worked with crime and abuse victims but as I got ill had to leave that too! I take on board what you’ve said where reggae is concerned because I feel the same. The people who play it always prefer to get it down to just two during chords. I tend to want to hear the proper sound to what I have written and because of this there’s things I would have loved to record but I was not willing to let people play it the “lazy”, way! I don’t write or read sheet music but I write down the chords etc I use. I will be reading more of your info as it is good to be aware of many things with music. Thanks so much for reading my poems and keep going! I apologize for the delay. Traveling for business and hard to keep up sometimes. I did not want you to think I was ignoring you….. with your ‘alternate studies’, music must seem like a picnic now! I totally get the lazy policy you have. I do not read or write music notation. I know how and I can do it if I work at it s l o w l y! I mostly play by ear and find chords that sound good to me and I almost avoid figuring out what the chord names are until the song is written! Rather unorthodox for my musician friends! Have a great evening and thank you for your patience! You are very much a respected person in my mind! The best musicians just like you and I never read music as what I learned. It was the classical one’s who made the effort. I still know how to work my sounds out and that’s why I am waiting to have my hand surgery so I can play my keyboard using some of the tips you have provided!